There are a lot of performances to choose from in December, and that’s a spectacular way to end the year. Among them is Souvenir, a two-person musical based on the life of Florence Foster Jenkins (Sarah Day)—an infamous opera singer with much more enthusiasm than talent — and her frustrated, but tender-hearted accompanist Cosme McMoon (Thomas Kasdorf). 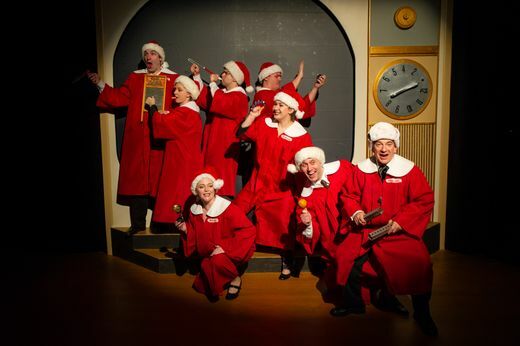 So why add Four Seasons Theatre’s Souvenir to your ticket wish list, when you could see Christmas ghosts and carolers, sway with dancing snowflakes and nutcrackers, or sing along with the brass section on “We Wish You a Merry Christmas?” Well. . . The ballet “The Nutcracker” was not a hit when it was first presented in Saint Petersburg in 1892. I can only speculate that its tepid reception was due to an unfortunate lack of glitter. I don’t know if Joseph actually said that to his beloved, the Virgin Mary. I don’t remember that passage from any of the scriptures, but I’d like to think that soon after Jesus was born in Bethlehem, his earthly parents celebrated a little bit, maybe by singing and dancing together like they used to. The whole cast, whooping it up. Photo by Mark Frohna. It's Right in the Title: In Tandem's "A Merry Chris-Mess"
Is your Christmas season filled with too much hope and joy? Are you tired of seeing heartwarming demonstrations of love and kindness at this time of year? Had your fill of cute kids in angel costumes telling you about peace on earth and goodwill towards men? Then maybe you’ll enjoy In Tandem’s “Merry Chris-Mess,” an irreverent and often vulgar swipe at the traditions and stories that many people hold dear. Long before people tagged each other on Facebook and posted pictures of their adorable children, perfect pets and gorgeous holiday celebrations on social media every 20 minutes, we all caught up with far flung family and friends with the annual Christmas card. The accompanying letter usually included annoyingly idyllic updates about weddings, graduations, promotions and tropical vacations, where everyone else's family seemed picture perfect. First Stage has produced the festive classic "The Best Christmas Pageant Ever" nine times over their 31-year history, beginning back in 1990. But this season the tale of the horrible Herdman children invading the annual nativity pageant and wreaking holiday havoc has a couple of twists. 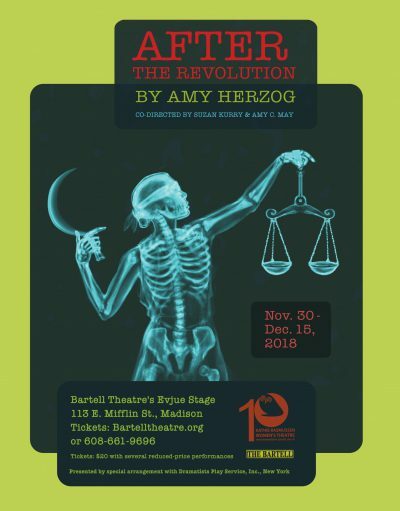 First, this is a musical version set in the early 1960s, and second, it's led by "Christmas Pageant" veterans director Molly Rhode and lead actress Karen Estrada, who both worked on the show as kids. Are You Ready to Rock? "School of Rock" Shows You How. Movies are very rarely made better when they are turned into Broadway musicals. In the case of School of Rock, onstage at Overture Center through November 25, the premise had a much better headstart than most screen-to-stage ventures. First, it’s already about music. More precisely it’s about Dewey Finn a washed-up, wannabe heavy metal guitarist whose only real goal is to win the $20,000 prize in a local battle of the bands contest. It’s also about a pack of elitist, straight-laced kids who need more rebel yell in their lives and less scheduling from their high-pressure parents. And seeing nine year-olds discover the power of music to express deep emotions is fun, particularly when they connect to their inner Ozzy Osbourne by picking up an electric bass or guitar and playing their little hearts out — for real. 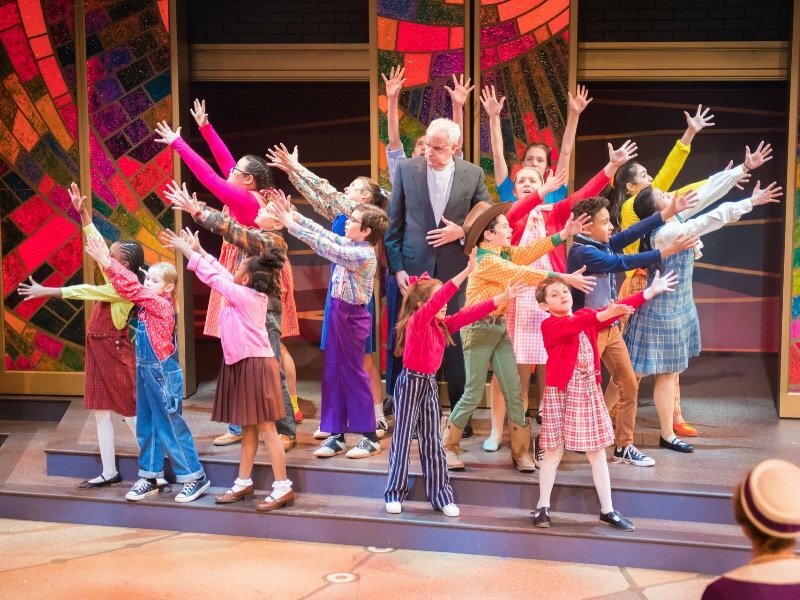 Plus, kid-centered musicals like Billy Elliot, Matilda, Willy Wonka, and revivals of Annie have struck box office gold in recent years. Why not put a dozen instrument wielding kids onstage and see what happens? 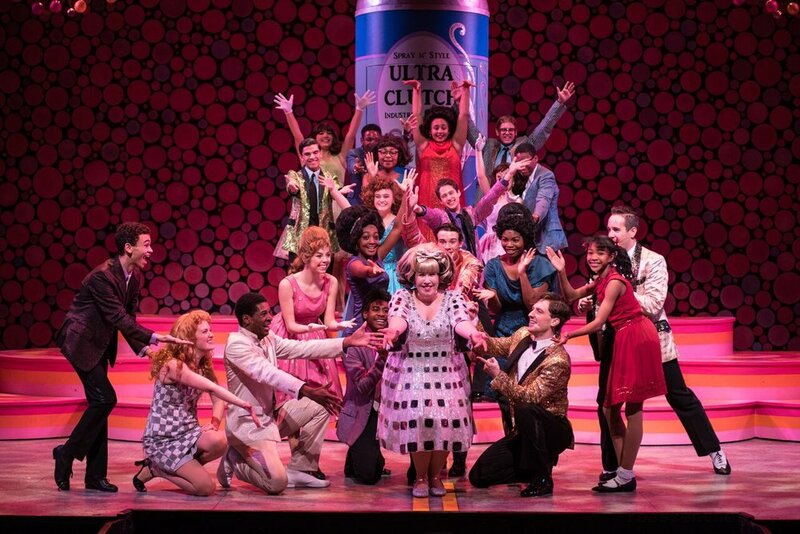 Let's All Just Dance Together at Skylight's "Hairspray"
The Skylight’s production of “Hairspray,” running through December 30 in the Cabot Theatre, is simply a riot. Out-of-work actors are incredibly resourceful people. Due to economic necessity they cultivate lots of other marketable skills, working as office temps, yoga instructors, or waiters and waitresses between onstage gigs. And a few of them decide that instead waiting for the perfect role to come along, they will simply write a one-person show that highlights all of their individual talents (“Buyer and Cellar,” “Fully Committed,” etc.). 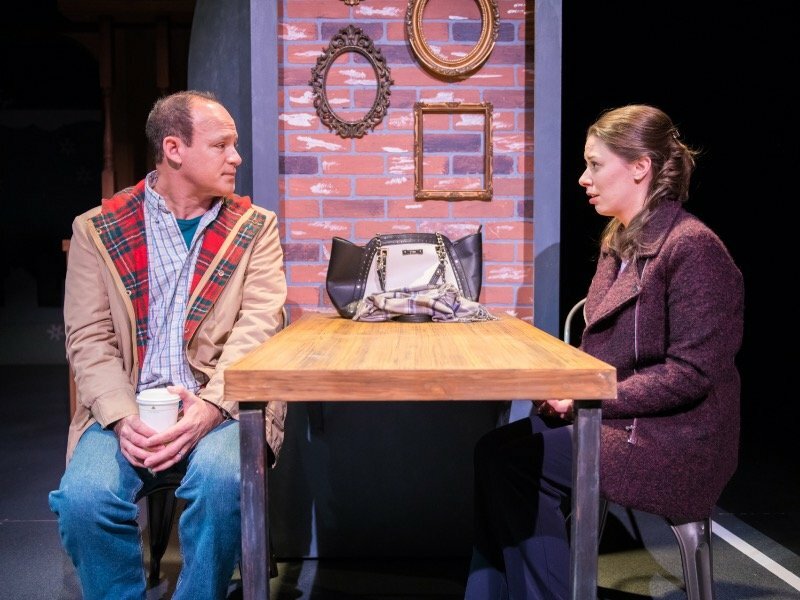 Another example of this genre if Ginna Hoben’s, “The Twelve Dates of Christmas,” onstage at Next Act Theater through December 9. 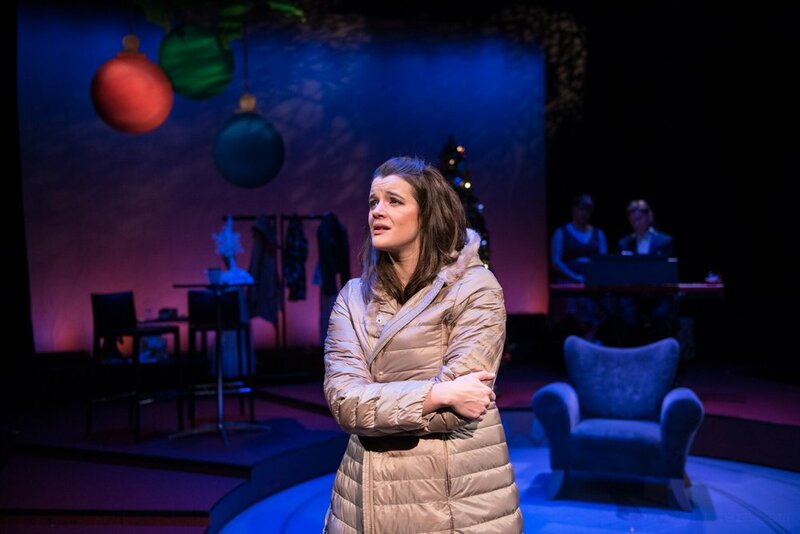 This small but mighty show chronicles one year in the life of a heartbroken actress, a small-town girl from Ohio who’s trying to make it in New York City while simply surviving a horrible break-up and the twelve months of dating hell that follow.